The joint photo sessions for Palestinian and Israeli settler women take place at the heart of the conflict in the West Bank. They were envisioned to foster consideration, reconciliation and mutuality. The novelty of camera work is a way to break down barriers and foster contact. It is a unique opportunity for these women to have a real perception and concept of the other through a personal interaction. Safety is key as for many of these participants, this is the very first time they encounter “the other”. Even with limited ability to communicate, the camera as the common tool forges connections. It looks to create “empathy in action” as it sparks collaborative engagement. Through the reciprocity of an exchange when each plays the role of the attentive photographer and the willing model with the reversal of those roles, the humanity of the other is revealed. Photography is a great tool to open doors, to begin to explore looking through the eyes of those we might feel separated from, and to possibly discover interconnectivity even with very different life experiences. Those few days of contact create an obviously deepened sense of the other, a true appreciation and connection. 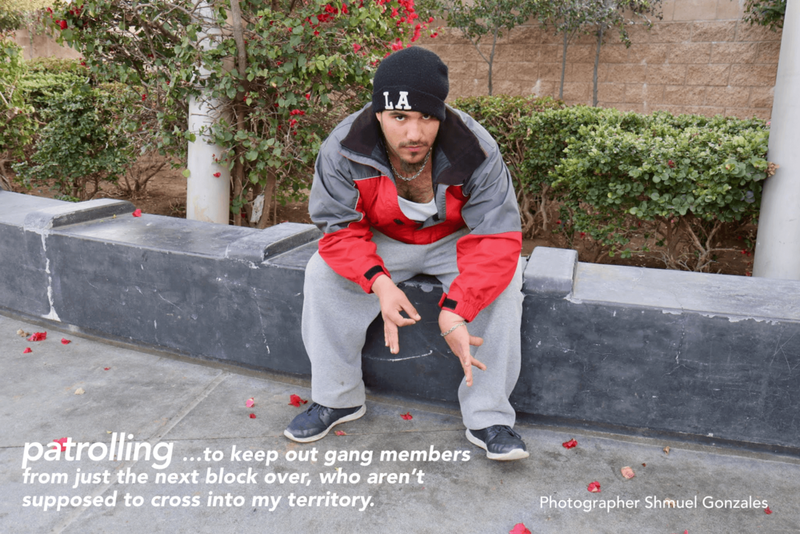 With multiple immigrant communities in Pico Union (LA), the photo workshops brought together the diverse cultures and ethnic groups from the area in new ways. These were participants from separate backgrounds with a sense of dissociation from one another. The camera was a handy tool to glean tremendous insight of someone’s feelings and circumstances. Empathy does not come about by just imagining what the other person is going through. With English as the mother tongue for most, the partners had to engage with one another not only taking mindful portraits, but also sharing their background, story, circumstances as much as they felt comfortable doing. In the final session, each participant was handed his / her partner’s photo and was asked to re-tell the story he had heard over four sessions in the first person. By allowing participants to actively listen to the other’s narrative, and then to walk in each other’s shoes by taking on another’s story are amazing tools to connect person to person across the divide. 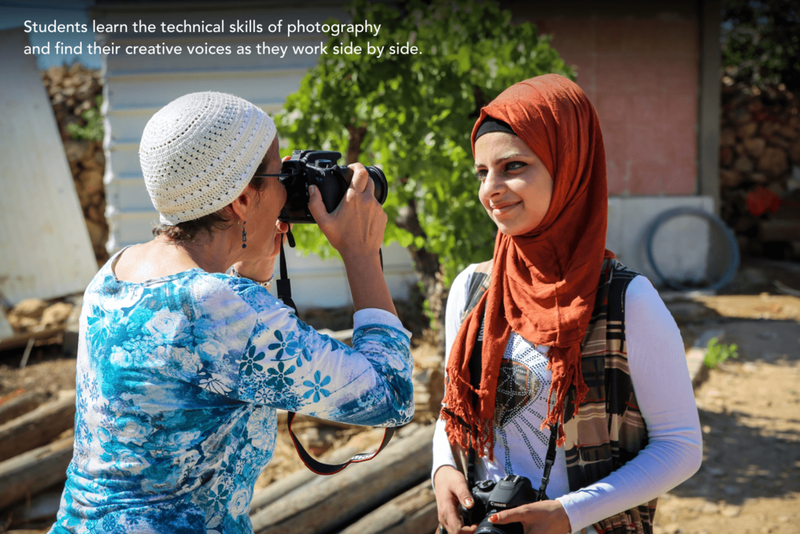 The day-long workshops in the South Hills of Hebron (West Bank) offer Palestinian women the chance to work together in a way that allows self-actualization within their own cultural and religious environment. Taghyeer wants to give those participants the opportunity to have a sense of individuality using self-expression to bring empowerment and self-esteem. The process of being creative and allowing their own style and narrative to come forth is cathartic. The women take great pride in the photos they take and then share with the group. The viewing of their images is a crucial aspect of the workshop because it is about acknowledgement. It is a recognition of their uniqueness and individuality. Those workshops are a chance to work with others from the same background and culture in a way that allows self-expression and freedom opening within and beyond the pressures of the environment.